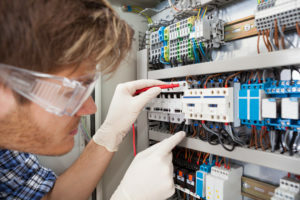 Electrical safety is something we must not take for granted. You cannot see electricity but it can be fatal, injure, cause fires and damage property. Electrical hazards come from all types of electricity, batteries, generators, single-phase mains, three-phase mains power, static and lightning. All these can cause serious harm or death. Generally the greater the risk of injury will come from the higher the amount of shock but even a battery can cause a serious fire. Both alternating current (AC) and Direct Current (DC) electrical supplies can cause a range of injuries. Finally, some battery packs are very heavy so you need to be aware of correct manual handling techniques.